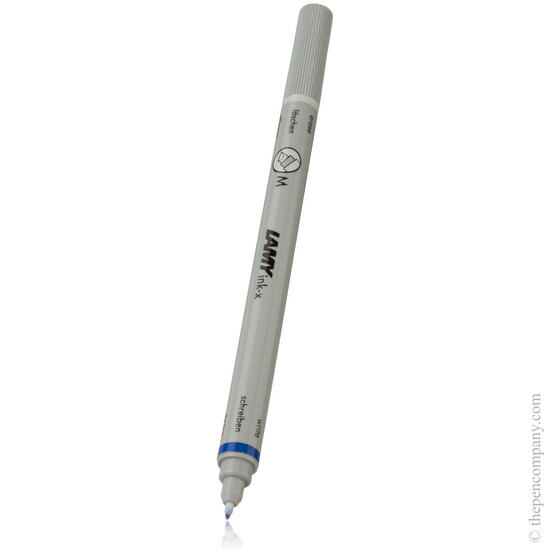 The ink-x can be used to erase washable blue fountain pen ink from the page. 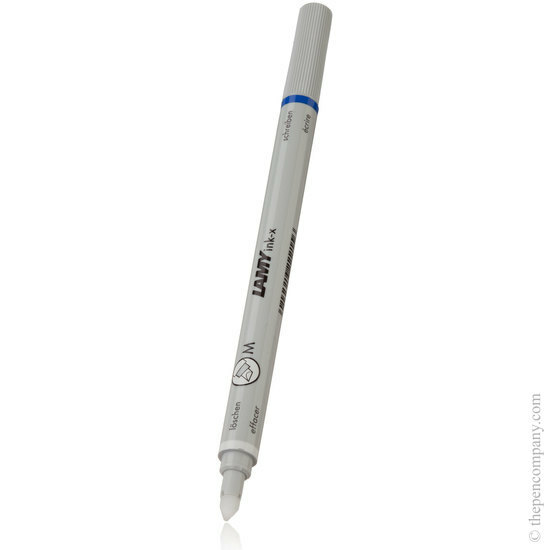 On the reverse end is a permanent blue ink correction tip, which can be used to write over the erased section. 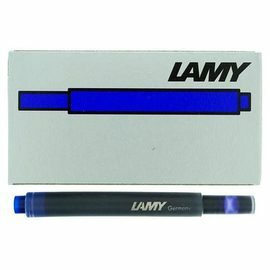 Available with fine, medium or broad eraser tip. At first, I thought this was as simple and clever as a pencil; write with one end, erase with the other. But no: This is for erasing and then over-writing something written in 'royal blue ink' with a fountain pen. This it does pretty well.